You are here: Home / News / McTimoney College Wins National Quality Award! 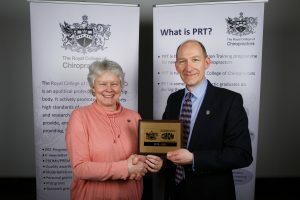 Gill Amos collecting the Clinical Management Quality Mark at the Royal College of Chiropractors AGM on behalf of McTimoney College. 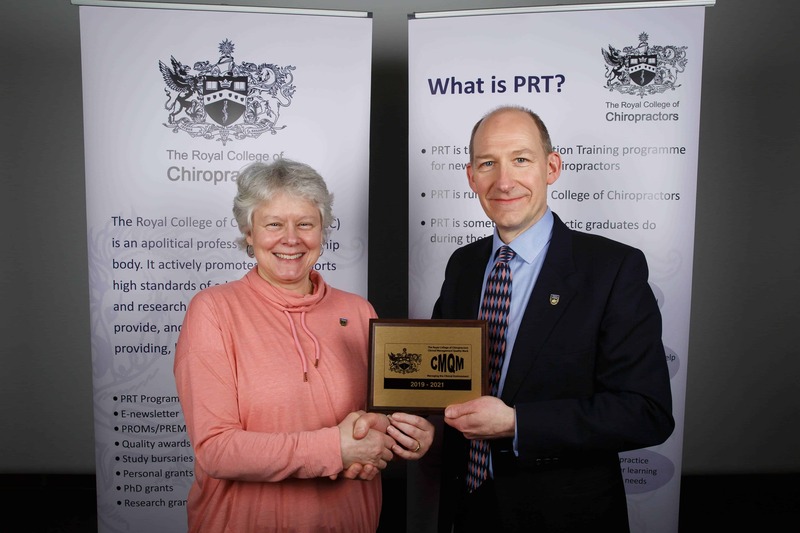 We are proud to have held this prestigious award for our community training clinic since 2013. 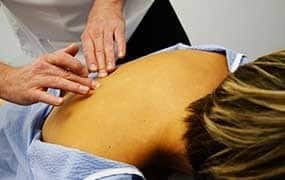 With the Patient Partnership Quality Mark also awarded to our training clinic, we are confident that we are demonstrating high clinical excellence and meeting patient expectations. 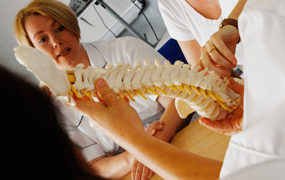 Further details about the Royal College of Chiropractors can be found by clicking here.